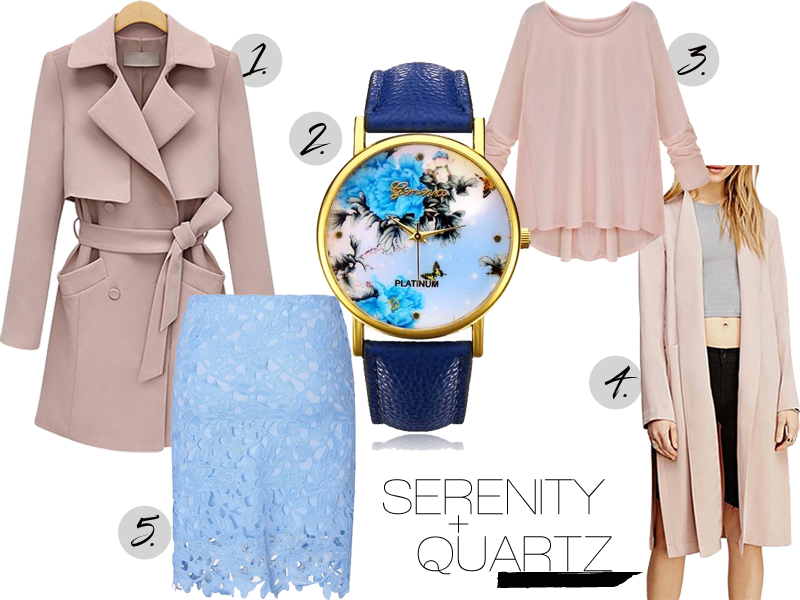 Pantone announced the colours for the 2016 some time now and while I whole heartedly embraced quartz (lets face it, who doesn’t adore this precious shade of blush) I wasn’t too enamoured with it’s counterpart serenity. While it is a nice enough hue, personally I’m not sure about it in terms of anything sartorial. That said I did find some lovely pieces over on Banggood that may just have convinced me to become more accepting of this colour. Like that lace skirt. Swoon. I let myself become overly frightened of it’s muted vibrancy, being such a creature of habit, staying true to my loves black, white and grey. But I did say that I intended to make this a year of overcoming fears and what better way then to begin with something as frivolous as this.